Be one of a kind ! All the outfits and clothes made by Lelahel are unique, handcrafted and made of very high quality materials. 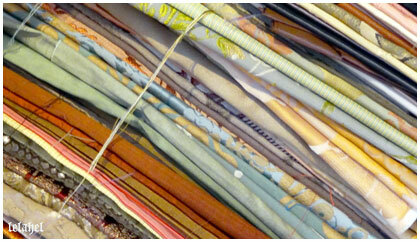 I choose fabrics and braids made in my town area (Lyon, France), and realize each piece carefully. Perfect to give your doll a very precious and one of a kind style. I can make the same style of dresses many times and even in very similar color but i never make exactly the same outfit twice. You consider your doll as being special, unique ? My outfits are made for you ! My preference go to classic and barocco style but i try as much as possible, to make different kind of outfits. I like using lace and gold parts ! I live in France, in Lyon. 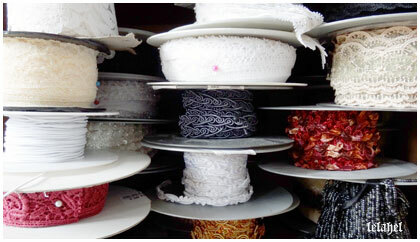 This town is famous for centuries for silk and very high quality materials for fashion. 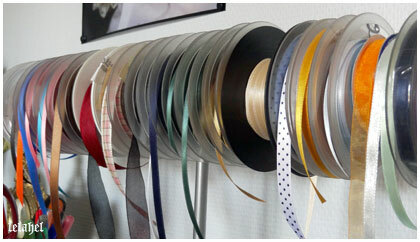 Almost all of my materials are made around my town in France, less than 50km from where i live. It’s very important for me to use those incredible materials to enlighten my outfits. I am very proud to be a part of the dynamic of my town, but also to make an ecological choice with materials made close from where i work. I have never studied fashion design or couture in a proper way. I have a master degree in japanese language, culture, litterature and civilization. I travaled as much as i could and it opened my mind and my eyes to the world, the beauty in everything around us,the beauty of art, life. To creation. During my studies, I was already making some outfits for myself, or for girls and boys but not for dolls yet. I learnt everything by myself, by observing how my own clothes were made. I tried to guess technics (probably i invented my owns lol) and tried to check things on books and internet. And little by little, i found my style. I presented my work to meetings around japanese culture and i made a fashion show during a meeting in Lyon in 2006. This is also in 2006 that i got my first BJD doll. It was a Delf soo special. I have been waiting so much for my first doll !! I never stopped liking ball jointed dolls from this moment. I started immediately sewing outfits for her. I spent so many time working on patterns ! My work is changing and developping at every outfit that i make. I try to challenge myself, improve my skills, find new way to make clothes, new patterns, new style. It’s very important for me to present things as always being better and evolving. 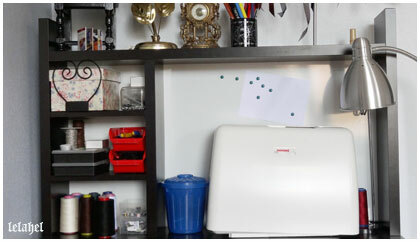 I decided in 2009 to devote all my time to my BJD couture, and started making outfit as a professionnal. I have had many dolls from my first one, I have 6 at home now (all of them are sd size : the bigger they are the better i work on them). I keep being fascinated by how we can express ourselves with those dolls. I created with my friends Cycy and Jaina Ldoll Festival, the biggest BJD event in Europe. I wanted to be even more active for this hobby, to be a part of its development. 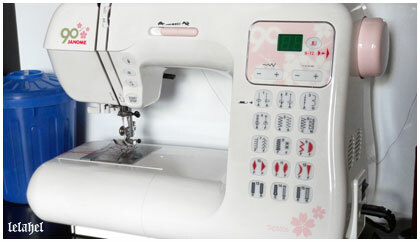 I have decided in the beginning of year 2015 to get a new start as a seamstress. I have a new logo and many, many new ideas. But less time also : i decided to get a job for the money aside my sewings. Less time but i feel much more liberty to create what i really want to do, without keeping alsways in mind that i have to sell the clothes. I am now more than ever, in an artistic approach. A very special thanks to all my customers and all the people who leave a comment on my work : you are my main gazoline when it’s hard to find motivation and when my muse has decided to go somewhere very far away for holidays !